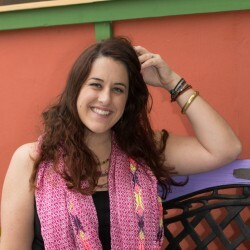 What Are Do-Gooders and Are You One? “1.) someone whose desire and effort to help people (such as poor people) is regarded as wrong, annoying, useless, etc . . . “1.) an earnest, relentless, and optimistic reformer (albeit, sometimes too optimistic). I probably hoped my definition of do-gooders was accurate because I am an optimist. 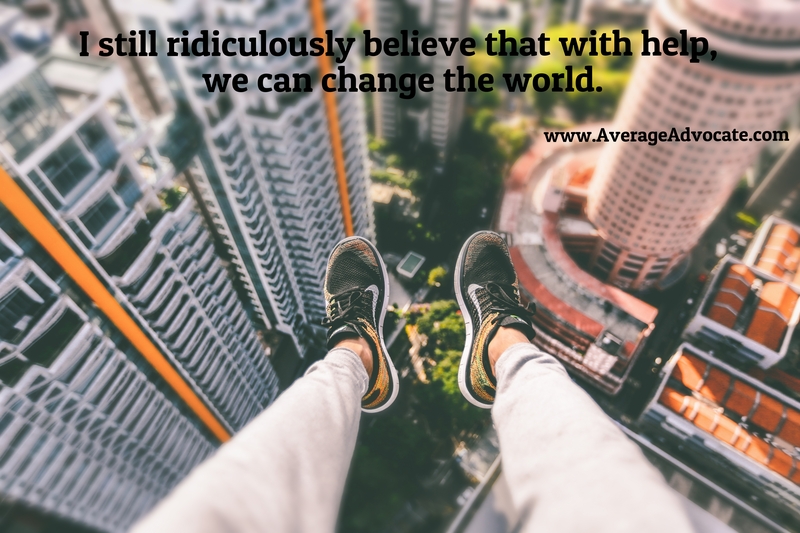 Although my naivete is waning, I still ridiculously believe that with help, we can change the world. Why? Because reform is now touchable and tangible. This isn’t difficult to prove, as if I was a scientist searching for impossible fossil records proving amebas evolved into wholly mammoths. Nope, because this change is happening right in front of us. I think it is insanely hard work, but it. is. there. More and more women’s value is being acknowledged; more people have access to clean water than ever before; less people consider slavery and other injustices okay; and there are huge pushes enacting sustainable solutions to pull people out of poverty. And this is just the tip of the iceberg! Now don’t get me wrong. I do think a lot of “good” that is done isn’t actually good, too. For all I know, maybe 1/2 of the monies spent on changing the world are used not-so-effectively. Then, as do-gooders aren’t perfect, they leave hurt people in their wake, including their own burnt-out shells. In a way, I agree with Mr. (or is it Mrs.?) Webster on all of these points. But the do-gooder definition only points to the fact that we advocates have personal and societal hurtles to jump over. There is better standard to rise to. So let us rise! So Then, What Are Do-Gooders? Some people might call these do-gooders the average advocates, the people who care, the individuals just trying to love a little. Others consider the do-gooder the crazy activists, the erudite humanitarians, or the pie-in-the-sky dreamers. But does it really matter if we are labelled as a do-gooders through a negative lens or a positive one? Skeptics can be cynical, indifferent souls will just fade to gray. 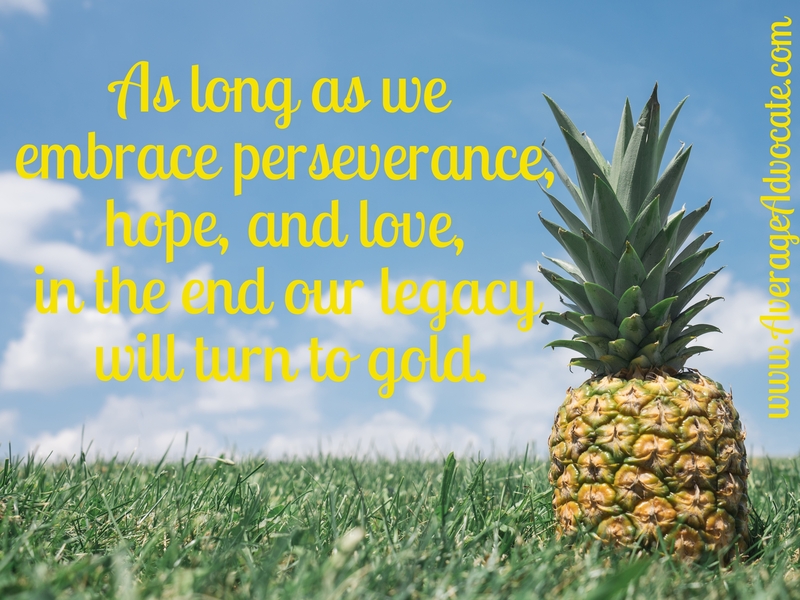 As long as we embrace perseverance, hope, and love, in the end our legacy will turn to gold. Want to become a better do-gooder? Check out Six Steps to Advocating With Credibility and Finding and Slaying Your Pet Monster.